If you have any questions about the AFRICAN CAT information page below please contact us. The good sized superyacht AFRICAN CAT (MANGUSTA 130) is a motor yacht. 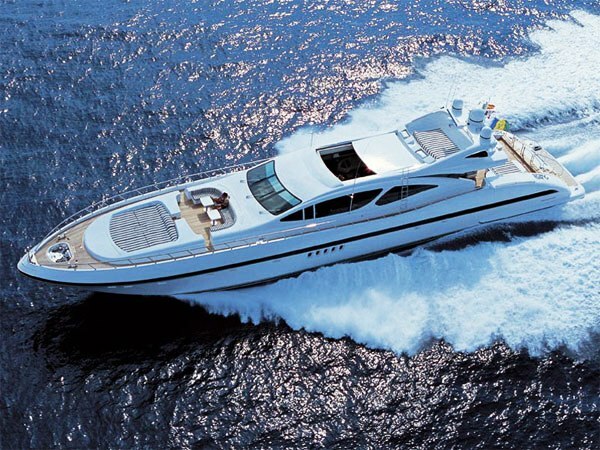 This 40 m (130 foot) luxury yacht was crafted by Overmarine (Rodriguez Group) in 2007. AFRICAN CAT (MANGUSTA 130) was formerly named (Mangusta 130). The graceful superyacht was brought about from the naval architecture of Overmarine and Stefano Righini. Overmarine was involved in the interior design and styling. 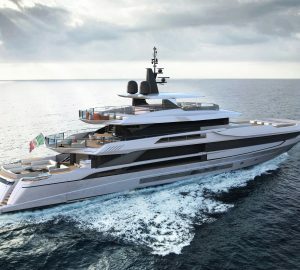 The yacht's wider design collaboration came from Overmarine and Stefano Righini. The formal naval architect intellectual property are the products of Overmarine. Motor Yacht AFRICAN CAT received her stylish interior designing from the interior design company of Overmarine. In 2007 she was actually launched with triumph in Massarosa and post sea trials and finishing touches was thereafter delivered to the yacht owner. Overmarine (Rodriguez Group) completed their new build motor yacht in Italy. The core hull was crafted from composite. The motor yacht superstructure component is made predominantly using composite. With a width of 7.8 metres or 25.6 ft AFRICAN CAT has moderate room. A shallow draught of 1.3m (4.5ft) selects the amount of certain harbours she can berth in, contingent on their specific depth at low tide. She is powered with two large MTU diesel engine(s) and can drive at a exciting top end speed of approximately 36 knots. The main engine of the yacht produces 3645 horse power (or 2720 kilowatts). Her total HP is 7290 HP and her total Kilowatts are 5440. Connected to her MTU engine(s) are twin water jets. AFRICAN CAT has a/an convienient cruising speed is 32 knots which makes a range of 520. Giving the combined power of 7290 HP /5440 KW. Her top Speed is around 36 nautical miles per hour. The luxury yacht AFRICAN CAT displayed on this page is merely informational and she is not necessarily available for yacht charter or for sale, nor is she represented or marketed in anyway by CharterWorld. This web page and the superyacht information contained herein is not contractual. All yacht specifications and informations are displayed in good faith but CharterWorld does not warrant or assume any legal liability or responsibility for the current accuracy, completeness, validity, or usefulness of any superyacht information and/or images displayed. All boat information is subject to change without prior notice and may not be current.